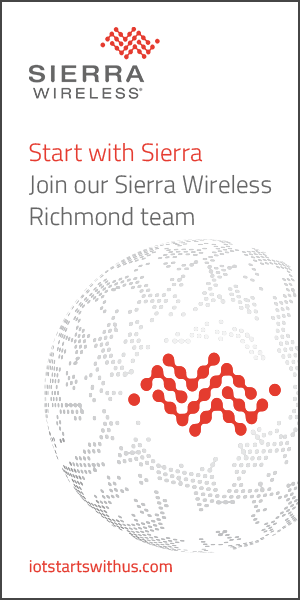 Sierra Wireless is building the Internet of Things with intelligent wireless solutions that empower organizations to innovate in the connected world. We offer the industry's most comprehensive portfolio of 2G, 3G, and 4G embedded modules and gateways, seamlessly integrated with our secure cloud and connectivity services. OEMs and enterprises worldwide trust our innovative solutions to get their connected products and services to market faster. Our devices are operating on more than 80 networks globally and we have shipped more than 100 million M2M devices worldwide. Leading OEMs and device manufacturers that are developing M2M and connected device solutions. Enterprises that are increasing the effectiveness of services and products through intelligent wireless solutions. AirPrime® Embedded Wireless Modules the industry's most comprehensive portfolio of 2G, 3G and 4G wireless modules for mobile computing, industrial and automotive applications. AirLink® Gateways and Modems Rugged, intelligent devices that provide mission critical connectivity for industrial, enterprise and transportation markets. AirVantage® M2M Cloud the simplest and most scalable way of securely connecting people and enterprise systems with machine data, enabling innovation in products, services and revenue streams.